This Hammer Tacker takes staples up to 140/12mm for roofing and many other applications. Unlike other hammer tackers which load from the rear with a feeder which can get lost, this hammer has a unique bottom loading system also making it simple and easy to clear staples in the unlikely event of a jam or to change staple length. Ideal for securing roofing felt with 140/12mm stainless steel staples. 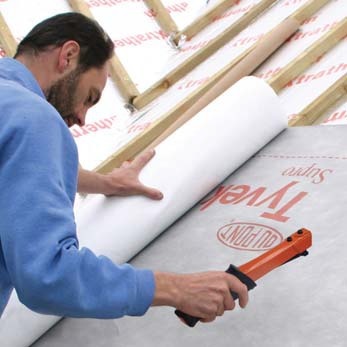 The surface protection plate also enables this tool to rapidly secure sheeting and breather membrane without tearing it.